MMS is proud to announce that Lindsay Mahoney has been named as an inductee into the 2018 Unum/Sea Dogs Teacher Hall of Fame, based on the strong recommendations of Assistant Principal Dillon Clark and fellow teacher Keith Mahoney. 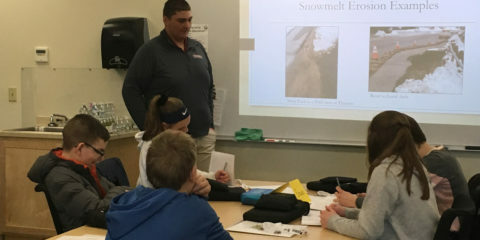 Unum asked the community to nominate teachers from a Maine public school or district who has made an extraordinary difference in the classroom. A committee selected three teachers based on their creativity and innovation in the classroom in each of the following grade levels: K–4, 5–8, and 9–12. The nine teachers, as well as the Maine Teacher of the Year, will receive a check for $500, a personalized Sea Dogs uniform top, six tickets in the picnic area, as well as the opportunity to throw out the ceremonial first pitch on June 22!